1. 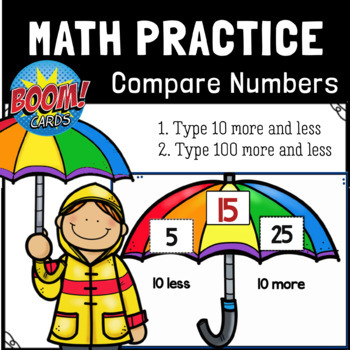 Students look at the number in the umbrella. 2. They type in the number that is 10 (100) less or 10 (100) more than that number.